In medieval times, the feast of St Martin, on 11 November, was Dover’s Holy Day or holiday and initially lasted three days. During that time merry-making took place close to St Martin-le Grand Church that was situated on the west side of the present day Market Square. Traces can still be seen from the Dover Discovery Centre steps. Because the feast attracted large crowds, it was only a matter of time before travelling salesmen came and the Fairs became synonymous with markets. About 1160 St Martin’s Fair received its Royal Charter and the popularity increased as did the number of days it lasted – ten! Profits originally went to St Martin’s Church but in 1124, Archbishop William Corbeil (1123-1136) persuaded Henry I (1100-1135) that the Canons’ of St Martin’s moral behaviour left a lot to be desired. The ploy worked and a new Priory, also dedicated to St Martin, was built on the outskirts of the town. 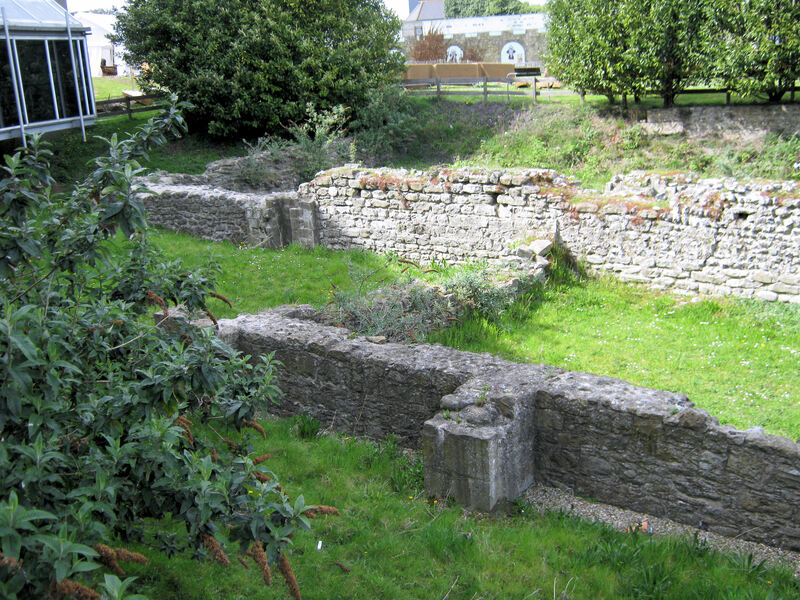 This opened in 1136 and amongst other benefits, the Priory retain the profits of St Martin’s Fair along with the profits from St. Margaret’s Fair held on 19 July and St. Bartholomew ‘s Fair (Buckland), held on 24 August. By Edward I’s reign, (1272-1307) fairs were gaining a bad reputation, including Dover’s, so standards were tightened up. These included forbidding them to be held in church yards, stating how much it would cost to hire a site for a stall, duration of the fair, punishment of offenders and what could be sold and at what times. From what is known of fairs at this time, besides the market aspect, there would have been singers, musicians, dancers, acrobats, conjurers, cockfighting, bear bating, archery, travelling theatres, competitive and team sports. There would have also been a spit roast and ale-sellers, which added up to a great deal of merry making. With the coming of the Reformation (1529-1536), it was feared that Dover’s the annual ten-day St Martin’s Fair would be lost. Instead, Henry VIII (1509-1547) granted the right for the town to hold the three annual fairs and included the ten-day St Martin’s Fair. Following the demise of St Bartholomew’s hospital at that time, the Buckland Fair was renamed and moved to 4 September and was extended to a week! SS Peter and Paul Church, Charlton had, up until the Reformation, been owned Charlton Green. The Green became a common area and from that time on 6 July, there was an annual Fair. By all accounts, Charlton Fair was one of the best in the neighbourhood especially for merry making! During the Civil Wars and the Interregnum (1642–1660), the number of days of St Martin’s Fair was reduced to three. Following the Restoration (1660) Charles II, (1649-1685) granted a fair for the sale of cattle on 23, 24 April 25 and 26 September. Initially, only during the time of the three-day St Martin’s Fair did entertainers visit the town but over the following century the number of days it lasted increased, as did the entertainment. 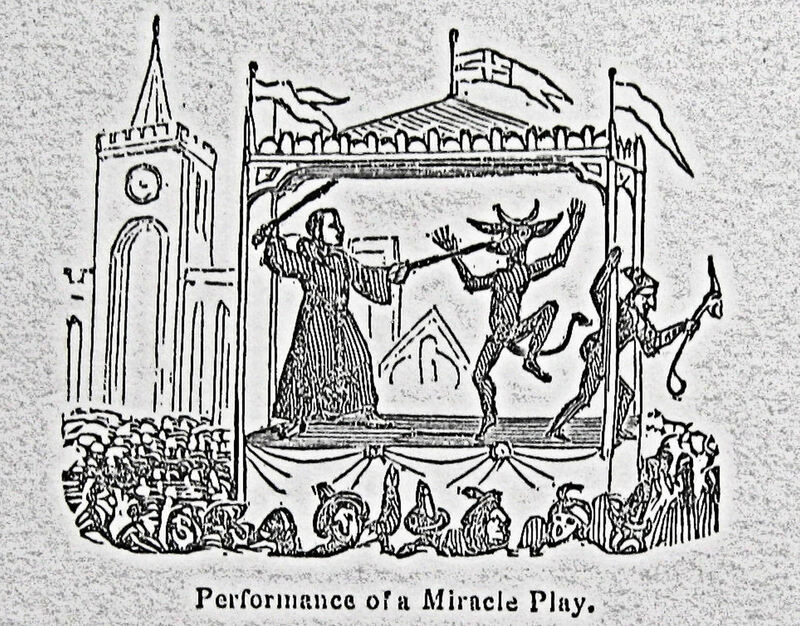 This was similar to that enjoyed in medieval times but with the addition of different sideshows where participants could show off their skills, such as cabbage shies (later coconut shies). The Fair, however, was not without incidents for instance in 1805, there was a major boycott of some attractions due to price increases. There was also a problem with increase in the number of crimes committed. On one night, during the 1818 Fair, a soldier at the Three Tons public house, Biggin Street, stabbed a man in the side with a bayonet. The stall belonging to linen draper, Mr Shrewsbury, was broken into and goods to the value of £20 were stolen. The following evening, Peter Sampson, who worked for Messrs Friend and Co., had his pockets picked and £6 plus valuable papers were stolen. The pressure to deride the fair continued, especially from the retail sector, and in 1845 the council announced that the Fair was to cease. This gave rise to major protest from the townsfolk so it was reprieved. 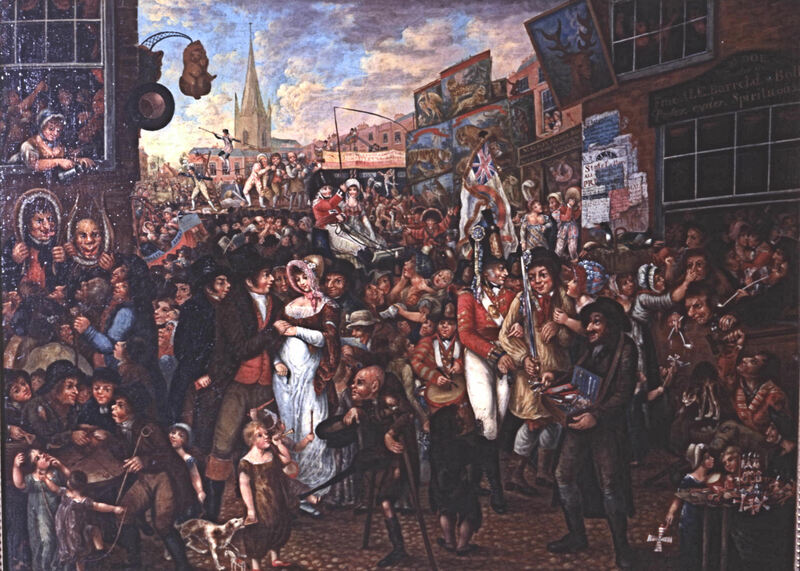 However, in 1847, the Charter for St Martin’s Fair was surrendered. Although Dover’s ancient, St Martin’s Fair had ceased to exist, in surrounding villages the fairs remained major attractions. Nonetheless, there was a vociferous minority who saw them as a nuisance and they kept up their protests. In 1879, Charlton Fair, which had earlier moved from Charlton Green to Barton Meadow (the present Barton School playing field), came in for attack. It was held over a two day period in early July and was very popular but was, at this time, labelled as being ‘divest of any public interest’ and by the end of the century had cease to exist. The Coronation of George V (1910-1936) took place on 22 June 1911 and a special celebration was put on for Dover’s schoolchildren at Northfall Meadow, near the Castle. On that day, the Mayor, Sir William Crundall, and councillors in carriages and escorted by police on horseback, led marching children, each wearing a coloured ribbon representing the school they belonged, up Castle hill to the site. There they were entertained with a Punch and Judy show, sideshows and mechanical fun fair attractions such as roundabouts. A special tea followed and each child was given a Coronation medal, supplied by local jeweller, Cromwell Marsh. The medals were all inscribed with Mayor Crundall’s name – who had paid for the event. During World War I (1914-1918), fun fairs all but ceased. Following the War, in the 1920s, travelling fun fairs were seen at special celebrations, typically at the Royal Victoria Hospital fete that was the highlight of the town’s social calendar. The fete was held in Pencester Gardens and the fun fair in adjoining tanyard. 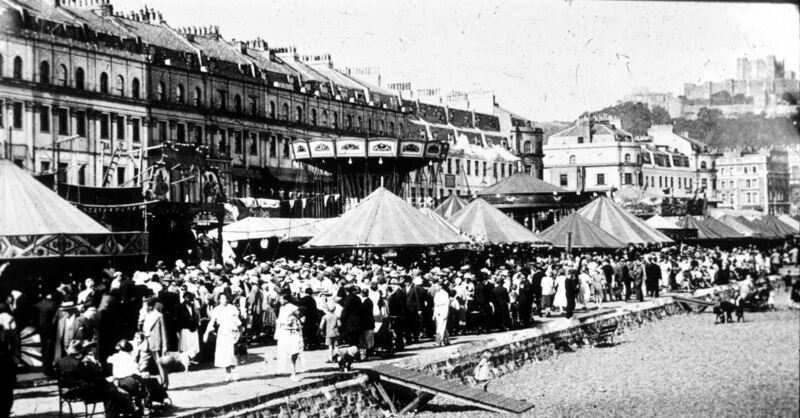 Towards the end of the decade, Dover Regatta started to regain its pre-war eminence and this included a massive travelling fun fair that spread along the Seafront. In the 1930s Southern Railway put on special excursion trains for these events helping Dover to become a major destination for day-trippers. In the immediate post World War II (1939-1945) years, fairs were very much local activity put together with the minimum of resources and the maximum amount of enthusiasm. The Regatta was reintroduced in 1947 and quickly proved a major summer attraction with a travelling fun fair in attendance. 1951 saw the Festival of Britain celebrations and in 1953 there was the Coronation celebrations, in Dover both included fun fairs. In 1955, crowds listened to the first band concert held Pencester Gardens since the end of the War and not long after a travelling fun fair stayed for a week there. As the years went by the annual travelling fun fair grew in rides and sideshows and the number of people attending increased. However, on Saturday 27 April 1985 at 15.30hrs, when more than 200 people were enjoying the annual fun fair, catastrophe hit. 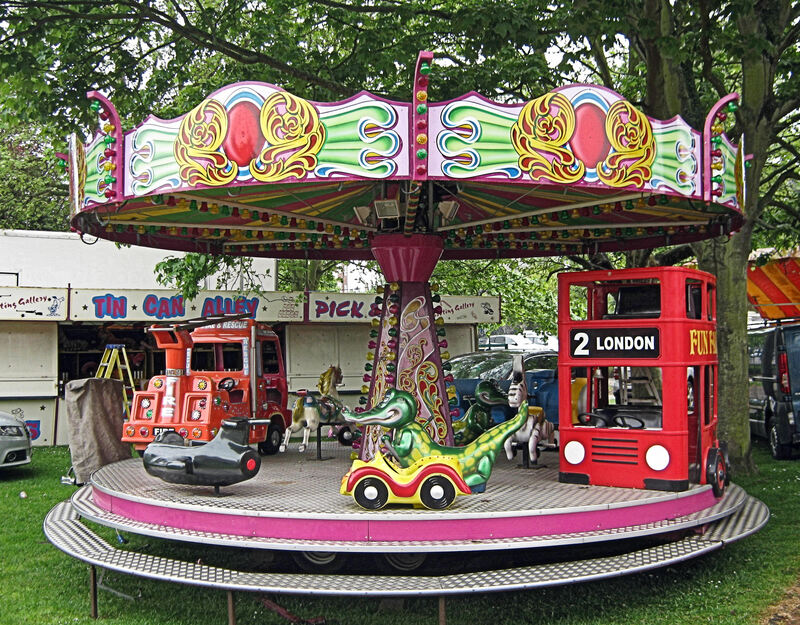 The highly experienced Forrests Fun Fairs ran the travelling fair on Pencester Gardens and approximately 20 young folk were enjoying the Paratrooper ride. When the accident happened, the ride had reached its top speed and the highest possible position and the screams of delight gave way to those of fear. A large piece of machinery had flown off then the ride started swinging and jolting wildly before it collapsed. The riders were trapped but as they were freed, it could be seen that they were all covered in oil. Luckily, no one was killed but 17 youngsters were taken to Buckland Hospital. Five, aged between 11 and 16, were detained to be treated for broken arms and legs. The Health and Safety Executive were called in to investigate. 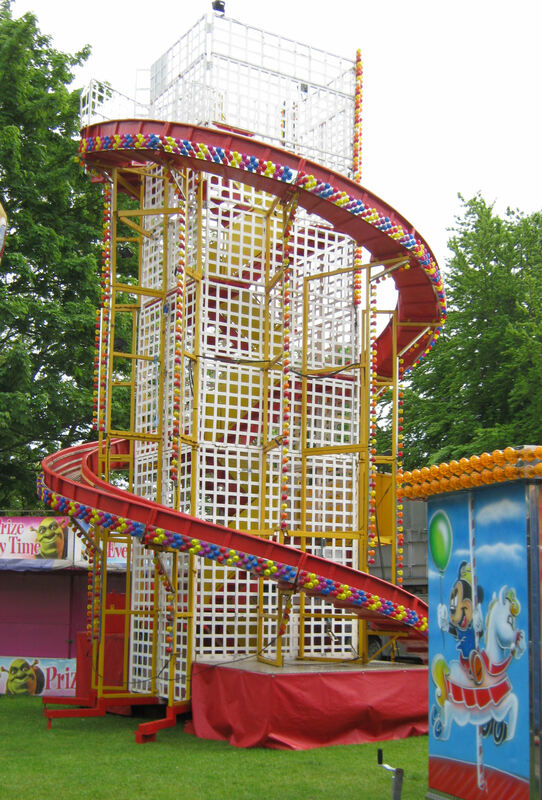 All the attractions at the fun fair had recently been examined by the Health and Safety Executive, including the 11-year old Paratrooper ride, and all had passed the inspection. However, for years, there had been concern over the lack of a national code of practice for travelling fun fairs. Indeed, in 1957, the British Safety Council had called for one but by 1974, nothing had happened. That year a ride collapsed at Battersea Fun Fair and seven people were killed but a code of practice was not forth coming. In 1984, the year before the accident at Dover, it was reported that there were 170 travelling fun fairs and the much needed code of practice was introduced, This, however, did not carry the full weight of the law nor specific penalties. Nonetheless, it was envisaged that already stretched officers from the Health and Safety Executive would examine every fair ground attraction in the country. 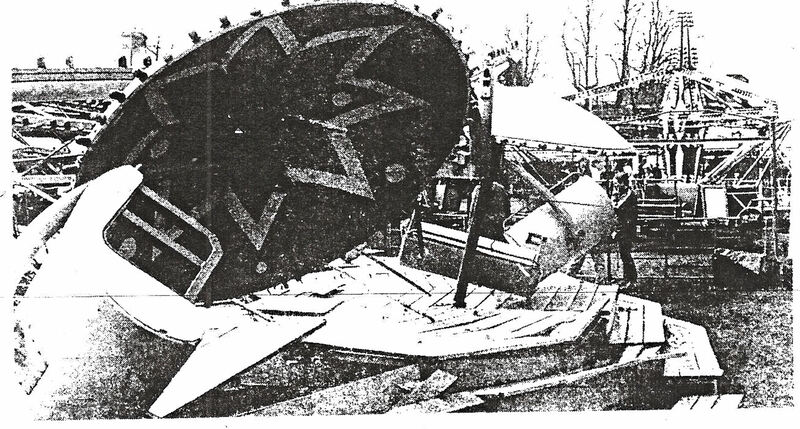 Examination of the wreckage found that it was a freak accident caused by a fault in the cap of the hydraulics system that had sheered off causing the ride’s arm to collapse. The Forrest’s fun fairs returned to Pencester Gardens the following year and for many years after, during which time its popularity increased and more attractions were added. The atmosphere in Dover prior to the 1999 fun fair was described by the Leader of Kent County Council, Sir Sandy Bruce-Lockhart (1942-2008), as a ‘powder keg.‘ The previous decade had seen an ever-increasing number of asylum seekers, economic migrants and ‘refugees’ arriving at the Port. By 1999 there were approximately 5,000 generically named ‘refugees’, living in the town and most were accommodated in lodging houses, particularly along the Folkestone Road. At a national level the authorities were in a state of denial, while national journalists focused on the refugees complaints to the detriment of locals. At a local level the towns folk felt that they were doing everything possible to help the refugees ‘fit in’ but if they did complain were accused of being intolerant. 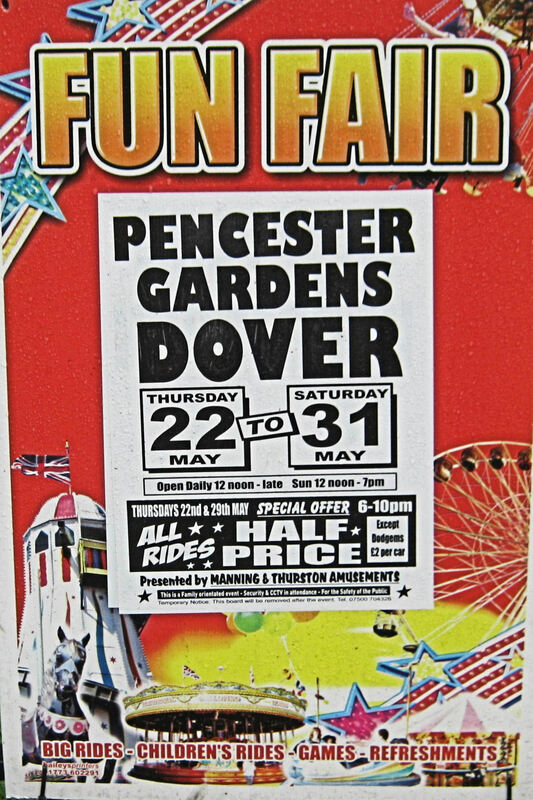 It was in August 1999 when the annual fun fair arrived to spend ten days in Pencester Gardens. The violence erupted there on Friday 13 and carried on the following day. More than 15 people, many teenagers from both the local and refugee community suffered knife wounds. The national media descended upon the town and most gave grossly exaggerated or/and inaccurate accounts of what had actually happened. In the town, the authorities appeared to blame locals intolerance for what had happened and said that we ‘should face up to the towns problems and this should be in a positive and constructive way.’ Such attitudes only served to provoke antagonism towards the said authorities. Eventually, to diffuse the situation, it was agreed to disperse the refugees to other towns and cities. The fun fair did not return to Dover until 2004 by which time the national and local attitude towards Dover folk had under gone a ‘U’ turn. It was, by this time, being said that we showed ‘admirable restraint and tolerance!’ Manning and Thurstons fun fair arrived in May that year and set up in Pencester Gardens. During that week more than 16,000 people came and on the Friday enjoyed a fireworks display. The following year the company returned, stayed for two weeks and again put on a fireworks display. Since then the travelling fun fair has returned to Dover annually and remains popular. In 2017, folk enjoyed Manning & Thurstons Family Funfair on 3 June which included funfair rides, children’s rides, hoopla, slides and stalls. Attending was local teenager Kelly Turner, who is fighting a rare form of cancer and is trying to raise £1m for treatment in America. That day, £1,000 was donated to her fund. This entry was posted in Fairs, Fairs, Societies, Culture and Entertainment, Tourism. Bookmark the permalink.